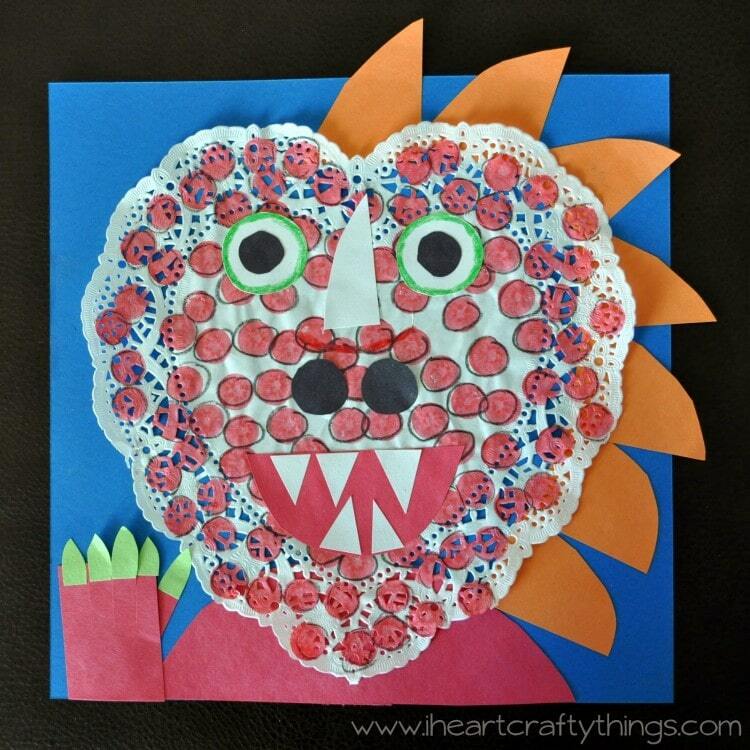 Last weekend my 7-year old read us the story “Three Monsters” by David McKee and afterwards we looked in my craft closet and put our heads together to think of materials we could use to create our own monsters. 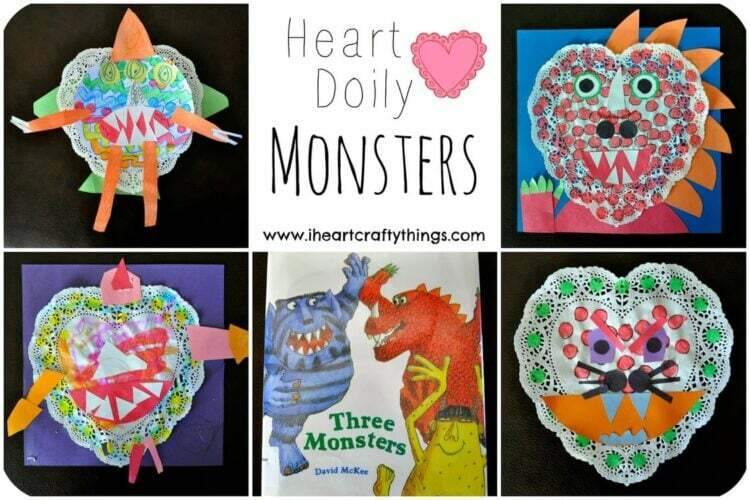 My son saw a package of heart doily’s I had just purchased from Dollar Tree and thought they would be a great element for each of us to add into our monsters. I fell in love with the idea! 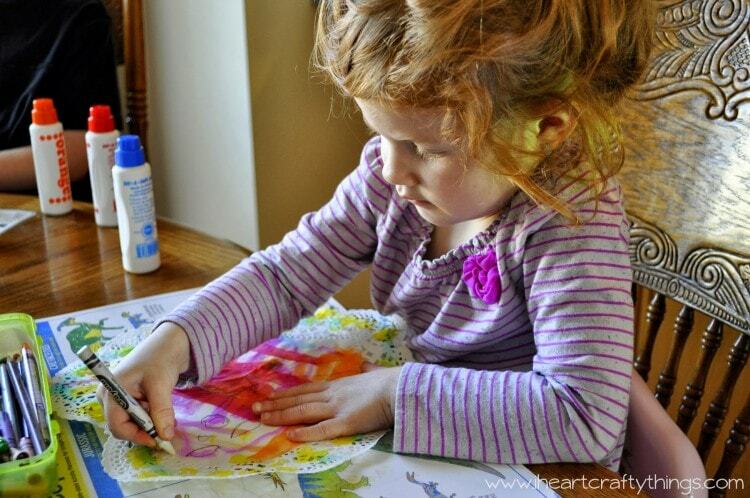 We also grabbed Dot Markers, crayons, an array of colors of construction paper, scissors and a gluestick. Sunday afternoon has become my favorite time of the week these last couple months. 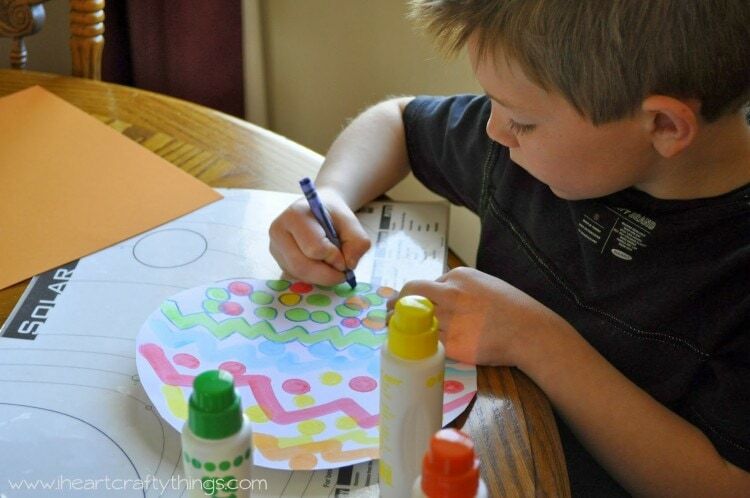 My boys went through a phase of not wanting to be artsy with me this past year, but lately every Sunday they have loved to sit down at the table with me and enjoy more open-ended art activities. I guess I just love the serenity of the TV and the video games turned off, nice uplifting music playing on the radio in the living room, and the conversation that develops with my kids when we sit and just color and create something without distractions. I love open-ended art projects because there is no pressure to have a specific end result. 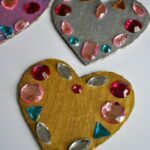 It allows a child to use their complete imagination to create exactly what their heart wants. I love to put different materials out and watch as they choose what they want to use and how much they want to use. The end results are always completely unique from one another, just as each child is completely unique from one another. It’s lovely! 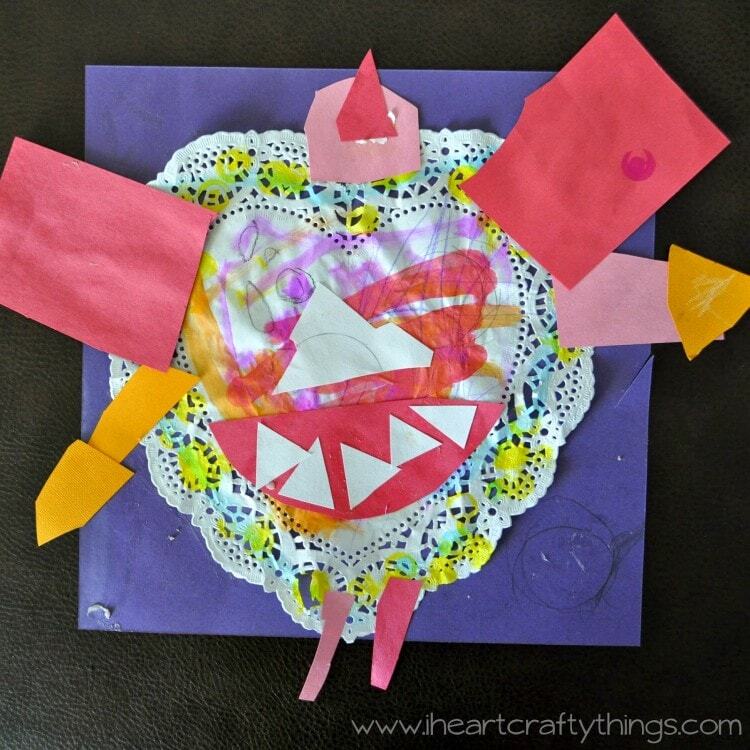 Here is my 7-year old’s Heart Monster. 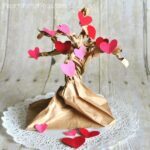 He choose to use a separate white sheet of paper for his body and glued the heart doily to the back of it, along with wings and a cape. He has three eyes and such fun and colorful patterns. I love how my son created so much texture by using the white crayon on the orange construction paper. I decided to try to re-create one of the monsters from the book we read, as closely as I could get. My kids (and husband) are both fascinated and terrified of my monster creation. Hahaha! 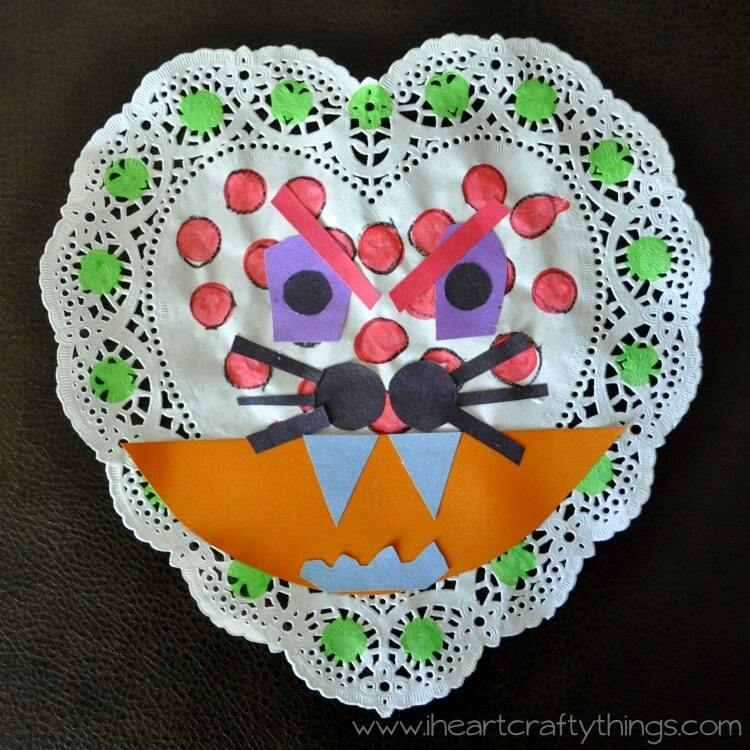 My 9-year old wanted to create something simple and unique and thought it would be awesome to make a Cat Monster out of his heart doily. I thought it was so creative of him to add eyebrows!! I don’t want to cross that cat, that’s for sure!! My 3-year old had the time of her life, exploring with the Dot Marker colors, the crayons, and being able to freely cut her own pieces from the construction paper to make her monster. She did end up asking me to cut her some teeth, but that is the only thing I did for her in this project. She cut, colored and glued everything herself. I adore her big red wings!! 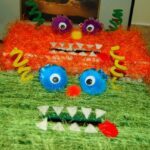 It’s time to get yourself a package of doily’s from Dollar Tree and spend a fun-filled afternoon creating some fun monsters!! 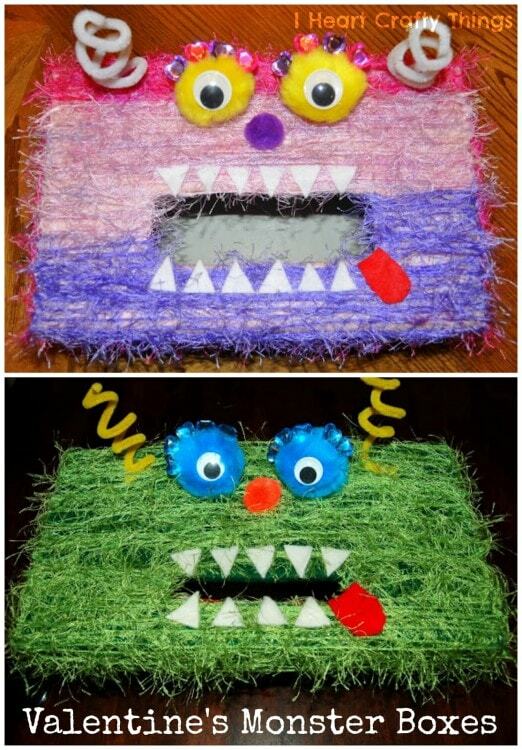 Here’s a fun way to create a Valentine’s Monster Box. Oh my cutest thing! 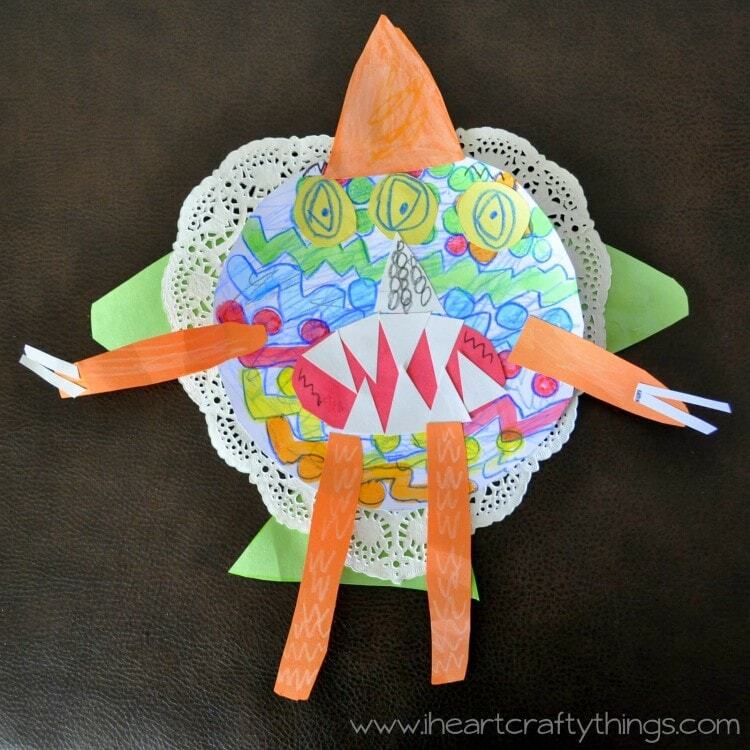 I've been trying to get my boys to color on some heart doilies so I can decorate with them and they haven't been too enthusiastic about it- they will love this option though!